Ukraine has reported fatalities in Donbas for two days now. One Ukrainian serviceman was killed and three wounded as a result of eight attacks by the Russian occupying troops in Donbas on 20 February, the antiterrorist operation (ATO) HQ press service said in its evening update on Facebook. In the Luhansk sector, the enemy targeted the ATO positions near Troyitske with 120-mm and 82-mm mortars, infantry fighting vehicle guns, antiaircraft guns and grenade launchers. Mortars, grenade launchers and small arms were used against the ATO strongpoints near Krymske, grenade launchers near Katerynivka. 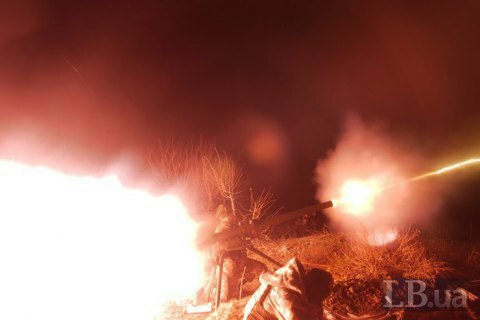 In the Donetsk sector, the militants fired with 82-mm mortars, infantry fighting vehicle guns and heavy machine guns near Pisky, 120-mm mortars near Lomakyne.